Mindfulness and the Natural World explores what it means to connect with nature, and how we can learn from nature to be more mindful in everyday life. Mindfulness & the Natural World explores what it means to connect with nature and how we can learn from nature to be more mindful in everyday life. 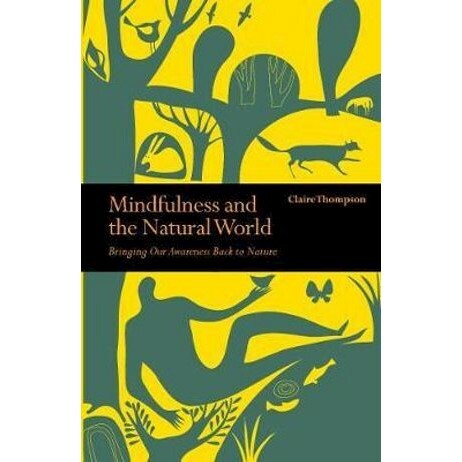 Claire Thompson takes us on an engaging journey into the natural world and encourages us to experience its beauty and intrinsic value through the art of mindfulness. Through personal anecdotes and proven insights, she reveals how a deeper awareness of the natural world is key to inspiring us to care about and protect nature, and developing a more sustainable world. Claire Thompson works for BirdLife International, the world's largest nature conservation partnership. Passionate about inspiring people to rekindle their love for the natural world through their experience of it, she also runs 'mindfulness in nature' workshops and courses.